Refugees and migrants welcome in Leeds – Trump and racism not welcome! The next major protest against Trump and racism is March 18th in London! The next day of mass protest against Trump in Leeds is going to be Monday 20 February on Briggate from 5pm as that is when Parliament debate the amazing petition that has been signed by almost 2 million people now protesting Trump’s state visit later this year. 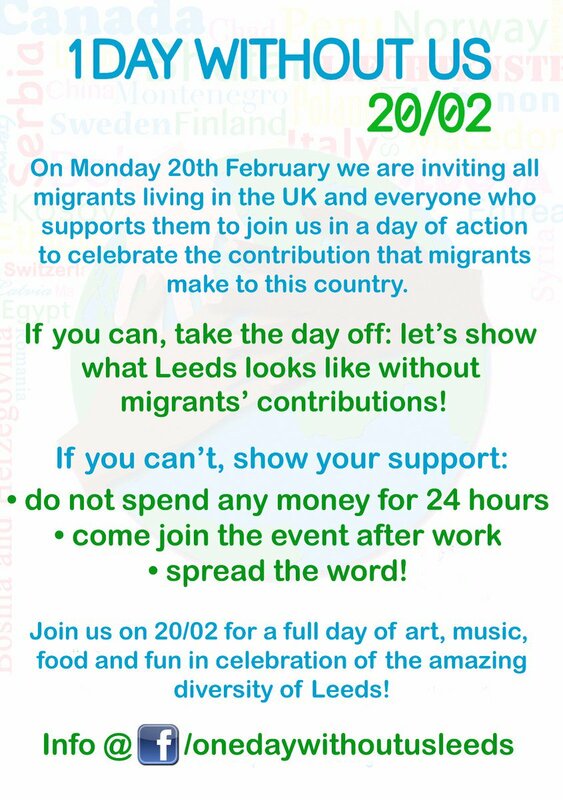 That day is also part of the 1 Day Without Us campaign and so there will be a whole day of action from 12noon in solidarity with migrant workers happening that day in Leeds on Briggate including a mass rally to say ‘migrants welcome here – Trump not welcome here’ in the evening. 1 Day Without Us in Leeds are meeting regularly to co-ordinate activity on that day – see fb page below and find them on twitter as well. 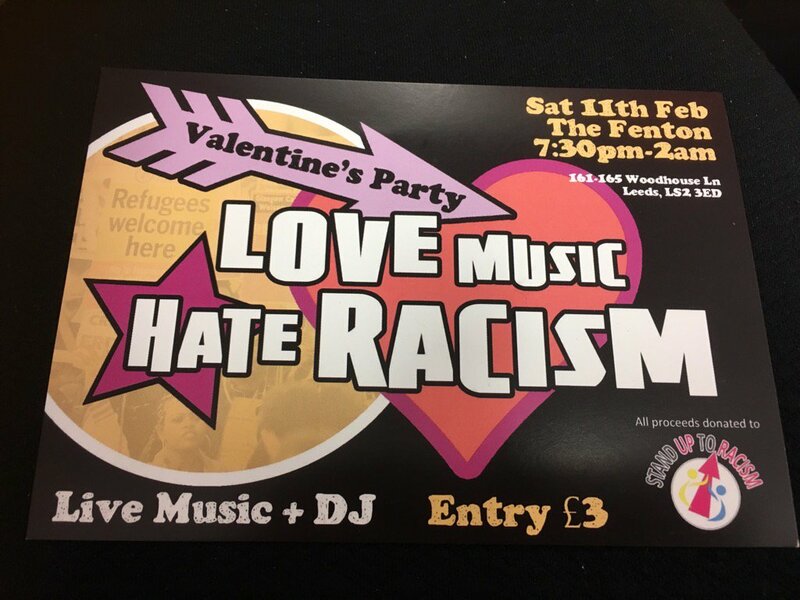 The next organising meeting for Leeds SUTR is Tuesday 21 February 6.30pm, Leeds UNISON (Woodhouse Lane, opposite Fenton pub) – all are welcome – come and get involved in building the anti-racist movement and activity to stop Trump! 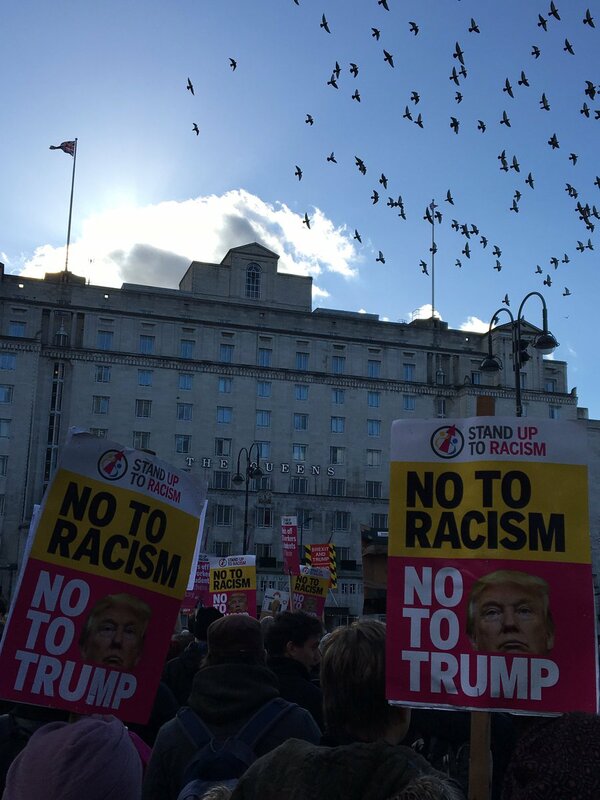 Leeds Stand Up to Trump Organising Meeting – to prepare for building for the biggest protest in British history if / when Trump visits this summer – hosted by Leeds Coalition Against the War, supported by Leeds MEND and Leeds Stand Up to Racism – all welcome – Wednesday 22 February, 7pm, Leeds Civic Hall.